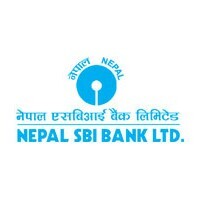 Nepal SBI Bank Ltd. is a subsidiary of State Bank of India which has 55 percent of ownership and rest is held by a local partner viz. Employee Provident Fund (15%) and general public (30%). In terms of the Technical Services Agreement between SBI and the NSBL, the former provides management support to the bank through its expatriate officers including Managing Director who is also the CEO of the Bank. Central Management Committee (CENMAC) consisting of the Managing Director, Chief Operating Officer, Chief Financial Officer and Chief Credit Officer oversee the overall banking operations in the Bank. The Bank was established in July 1993 & is now having 538 Nepalese employees working in 56 branches, 6 extension counters, 3 Regional Offices & the Corporate Office.